—> All Parts are included in the CD RELEASES! Alice: Aw, the cover picture breaks my heart a little. Kang Hyuk, what’s the deal? Cha Chi Soo might be a teenager but don’t you know they have mischievous ways to steal hearts? Get your bum off the ground please. Having him as a father figure for everyone, including Eun Bi, is a moving plot line…buh…buh… it separates him from them as well! No? Are we going to get some background info about him…? 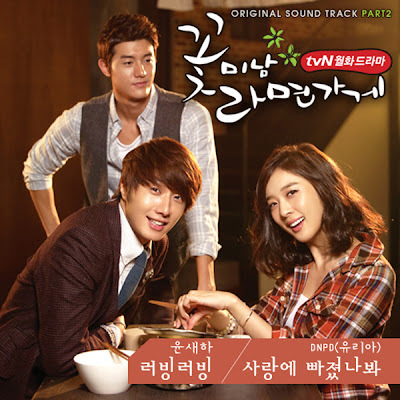 This entry was posted in Soundtracks and tagged Flower Boy Ramen Shop, Jung Il Woo, Lee Chung Ah, Lee Ki Woo, OST by Kappy. Bookmark the permalink. There is a song in EP9 in 41:40… What is the name of this song? This is about Cha Chi Soo ^_^ Please tell me all.